We are still in Orlando at my friend Dottie’s. We have had a wonderful time playing cards. For the first time in over 40 years I have won more than one game in any session we have played this game. I have won 9 games!!! When I spoke to my mother in law and sister in law they could not believe it This is my in laws favorite card game and after introducing it to our friends this is all we play. We were calling it the New Game, but I have been told it is called 3-13. What ever it is called, we love to play it. Dottie works at Disney Animal Kingdom. Needless to say we have done some shopping at her employee center. The baby is in for some cute Christmas presents. My son just loves Disney. On Tuesday May 17th Dottie and I spent the day at Animal Kingdom. We had a wonderful time. We rode the Everest roller coaster three times in a row. What a blast! 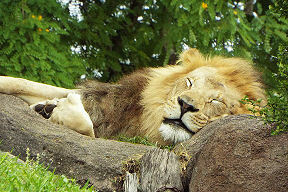 I got some good shots of the animals on the safari ride. Which, by the way that’s why we went to the park. We couldn’t resist some of the other fun things to do. Just like when we were in our teens. 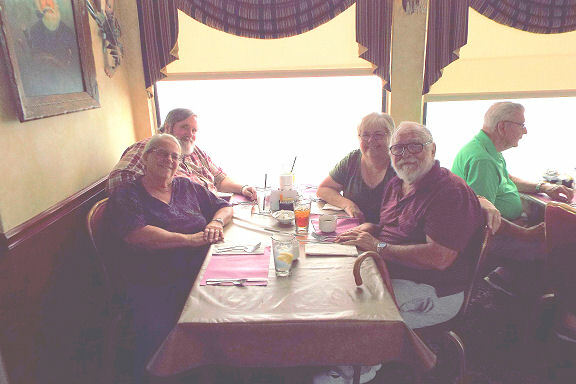 We have been friends for almost 50 years. Wow! That makes me an old girl then huh? We met in our junior year of high school. I am blessed to have such a good friend. 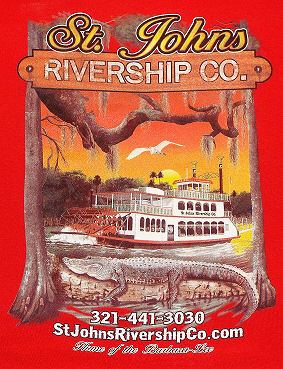 On Thursday May 12th we took a river dinner cruise on a paddle boat up the St. Johns River. The scenery was beautiful and the river was so calm. This is a family business and most of the staff are related by birth or marriage. While we were waiting to board the boat, I noticed a couple of anoles chasing each other. I walked over closer to them and realized they were mating. I couldn’t resist taking a picture. 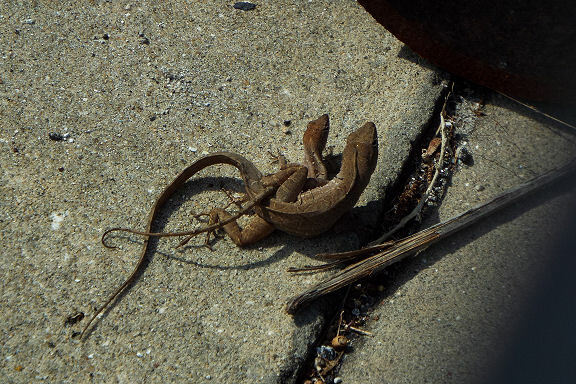 After all, how many chances do you get to see anoles mating? We started out with fruit, pasta salad and home made sticky buns. The sticky buns are the owners grandmother’s own recipe. I had prime rib and it was absolutely delicious. Everything is cooked on the boat except the desert which is done by a bakery in town. There is nothing better than a good meal and good company. It was the perfect day. Dottie, Gary, Me and Frank. We were going to head home today, but the weather forecast is not conducive to travel. So we are staying here for a few more days until the weather clears up along the coast. I’m not complaining. I get more time with my dear friend.